Wedding Bouquets 101 | Wedding Ideas ARE YOU A VENDOR? Once you’ve figured out what you’ll be wearing on your big day you can move on to choosing your wedding flowers. 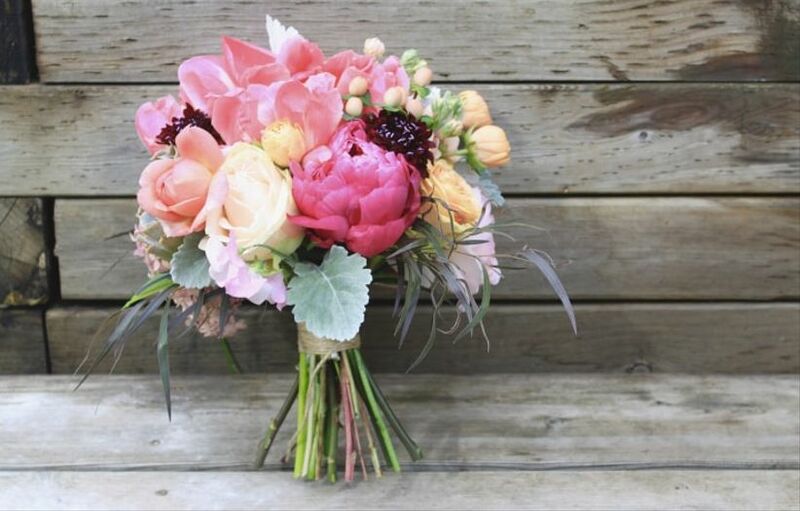 The colour, style and shape of your wedding bouquets will have a huge impact on your wedding look, so choose carefully. Remember, this is the most important bridal accessory (aside from maybe your wedding band). 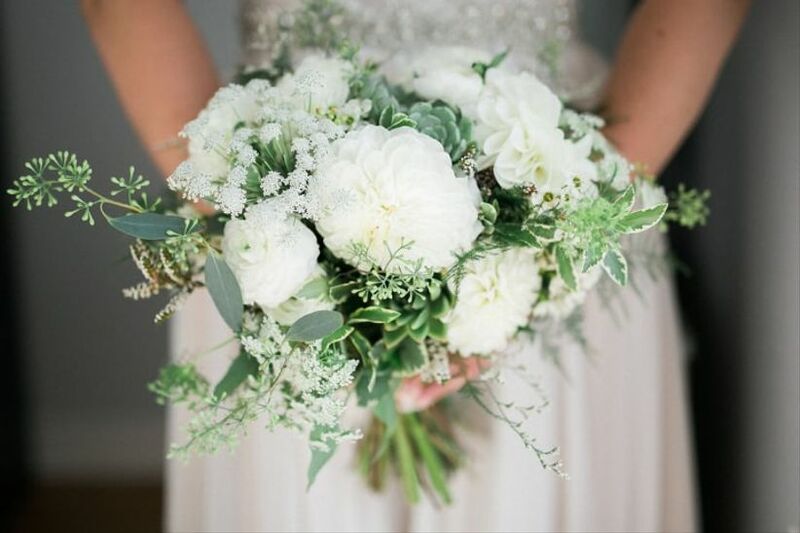 From crafting your own bridal bouquet to putting together arrangements for your bridesmaids, there’s a lot to think about. 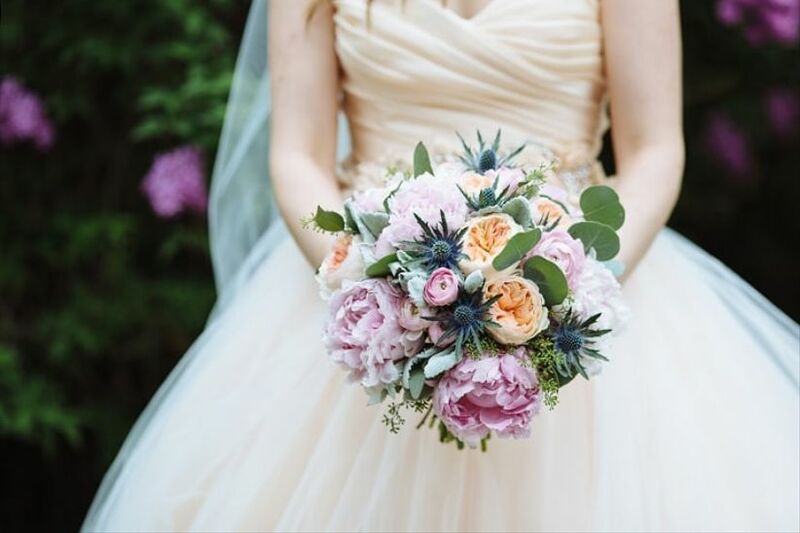 Here are the ins and outs of choosing your wedding bouquets. 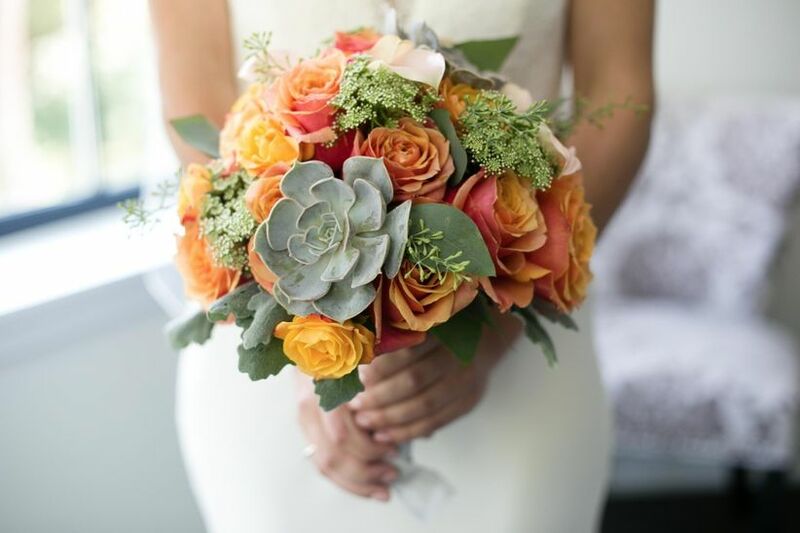 You’ve got more than just yourself to consider when planning out your wedding bouquets. 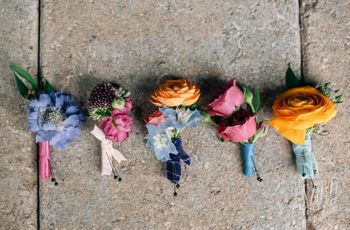 You’ll want one for each of your bridesmaids, one for the flower girl and maybe even a tossing bouquet for your reception. 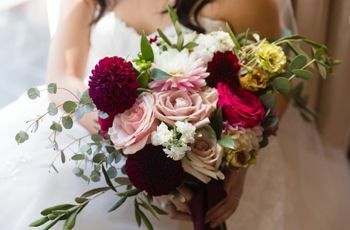 If you’ve got room in your wedding budget you may want to throw in smaller bouquets for the mothers of the bride and groom. Always keep your money on your mind. 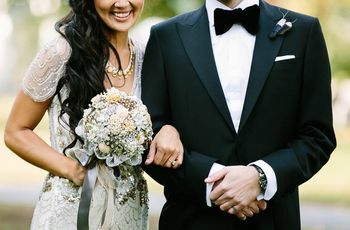 Typically couples will allocate 8% of their budget to wedding flowers, but remember that this includes everything from centerpieces to boutonnieres. 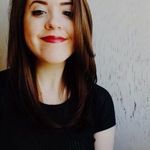 Let your florist know how much you’re willing to spend before they start putting together sample arrangements so that you stay within your budget. They’ll probably be able to offer up some suggestions on how to scrimp and save. The last thing you want is for your wedding bouquets to clash with your perfectly planned wedding ensembles. 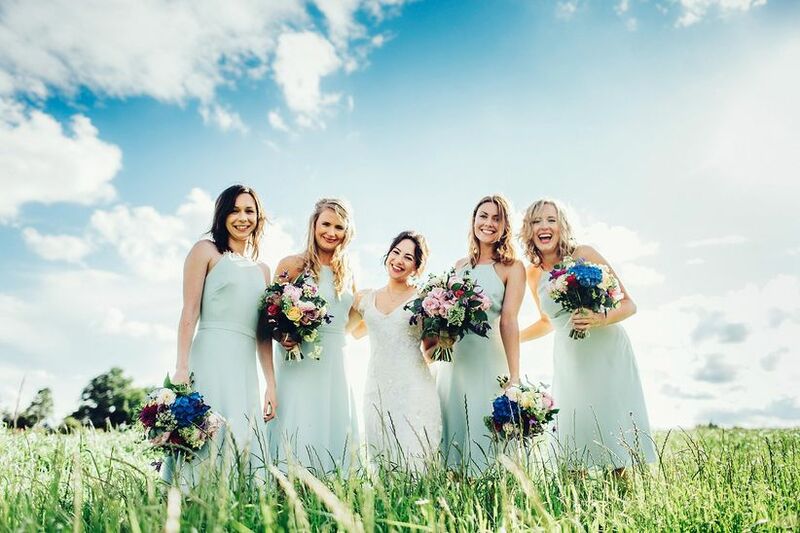 Bring photos of your wedding dress and bridesmaid dresses, fabric swatches and some of your decorations to make sure that the bouquet you’re crafting works with your overall looks. You’ll want to work with your florist to determine a colour palette so that they can move on to making suggestions with what’s available. The time of year affects what types of flowers are available. 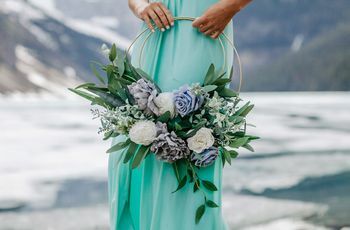 Unfortunately, Canadian winters aren’t hospitable to most flowers, so if you’ve planned your wedding between November and March, there’s a good chance your wedding bouquets will be sourced from afar. This means the price will increase, sometimes dramatically. Ask your florist what’s available around the time of your wedding to make an informed and budget-friendly decision. Before you start choosing your wedding flowers think about the overall theme of your wedding. This should help narrow down your options. Are you hosting a rustic affair at a barn? Maybe try something with wildflowers and a healthy dose of greenery. Is your ceremony is taking place at an ultra-modern downtown loft? Perhaps you should try a monochromatic bouquet of peonies or orchids. Think about the vibe of your wedding and use that as your jumping off point. Tip: bringing bits of your ceremony decor to your florist for reference will help keep you on track.